CHECK OUT THIS WELL-LOCATED, WELL-BUILT, WELL-MAINTAINED PROPERTY! 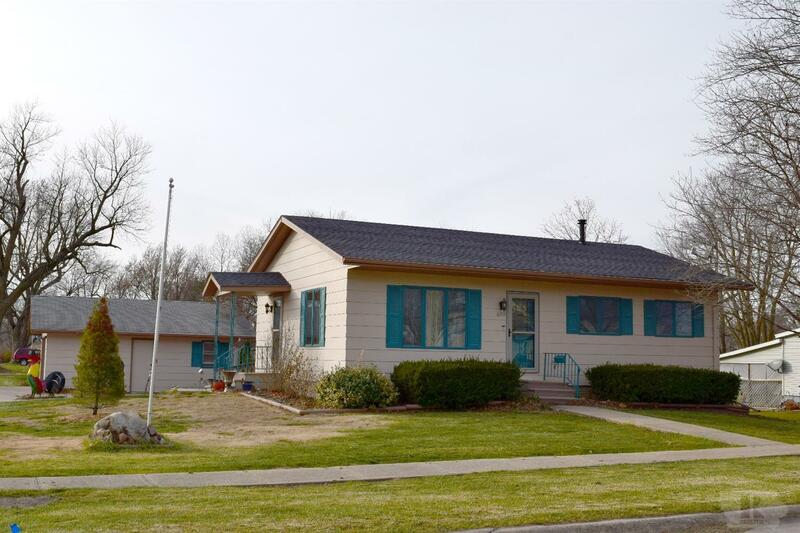 This 2 bedroom, 2 bath, ranch is set up perfectly for a retired couple. It has a spacious master bedroom, a warm cozy living room, and a formal dining room. If you enjoy cooking, you will love the well-designed kitchen that comes complete with plenty of cabinets and newer appliances. The laundry room has an additional shower and is conveniently located on the main level. The home is handicap accessible with ramps at the southwest entrance of the property. The partially finished basement can easily be finished to accommodate extra bedrooms, family room, game room, or whatever your needs may be. Property includes well established landscaping, a 2 car detached garage and a storage shed. You won't want to miss out on this opportunity! Call for an appointment today!